The mailing list at any school is something you want to be on. Basically, it means that you give the school your email address and then they send you news and info about their school. What it really means is that they know you are interested and you are then on their radar. This has several great benefits for you! 1. 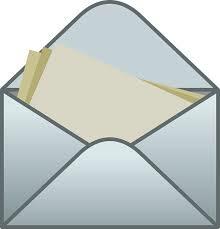 You demonstrate the interest in the school by joining the mailing list. Schools like to know who is really interested, so this helps you stand out. 2. You find out about new programs and offerings on the campus. This helps you determine if the school is a great fit for you or not. The college will send you news bits that can really show you a lot about what it’s like to go there. 3. You find out when that college will be in your town or near you. This is great because then you can go to the events and meet the actual people who will be reading your file and deciding if you get in or not. These people are the best people to answer all of your deepest questions on the college, so it’s great to meet them! 1. The easiest way to join the mailing list is to click the red “Request Info” button on your college list on CollegeMapper and you will automatically be subscribed to the college’s mailing list. 2. If there is no red button next to the name of the college, then you can join the mailing list by going to the Admissions page of their website. Click “Request Info” and enter your contact details. It’s never too late to join the mailing list, but you can start joining them anytime during and after freshman year! Before that, it may be a little odd to be thinking of college, but as soon as high school starts it’s perfectly normal! Joining the mailing list is a great way to get connected to your target colleges!